From kissing boo boos to embarrassing you in front of your high school crush, mom’s always been there for you. There’s nobody like her, and someone so special deserves a gift that she’ll never forget. No matter the occasion, we have the perfect gift for every mom. Our selection of unique gifts will have your mother wondering what you’ll think of next. Mother’s Day, weddings, retirements, anniversaries and birthdays are all fair game when it comes to our endearing…and occasionally embarrassing…gifts. There are those who walk onto a golf green ready to conquer, and then there are those who know they’re in for a rough game, right from the very start. Literally. 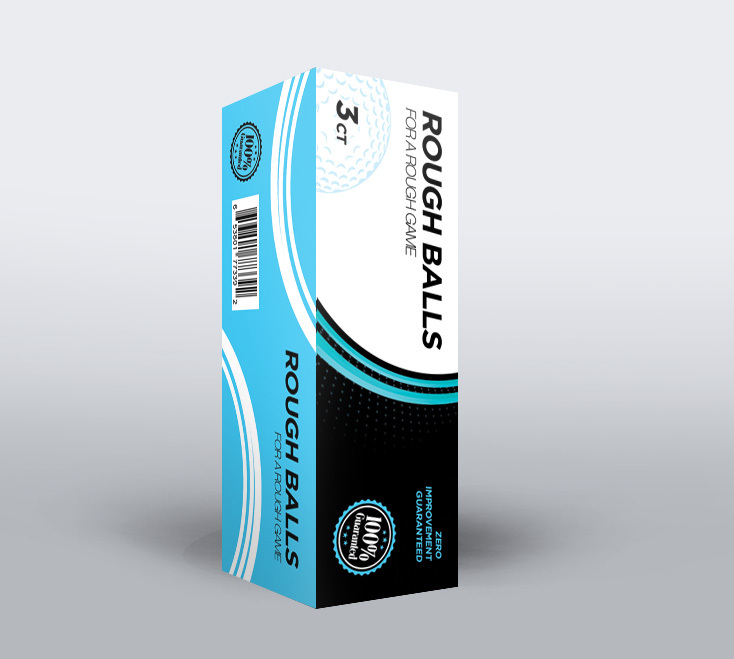 Rough Balls for a Rough Game Golf Balls are the go-to golf gift for absolutely terrible golfers. Everyone knows those shiny new golf balls in their bag are destined to be at the bottom of a pond or buried in the rough, so save them for show and grab the best golf balls for that inevitably sad situation, Rough Balls for a Rough Game. Rough Balls for a Rough Game are handpicked by real golfers who shed a tear every time a sparkling, new rock lands in the lake. They’ve painstakingly selected balls in brutal shape to soften the blow of certain loss, making them a gift for the whole golf party. 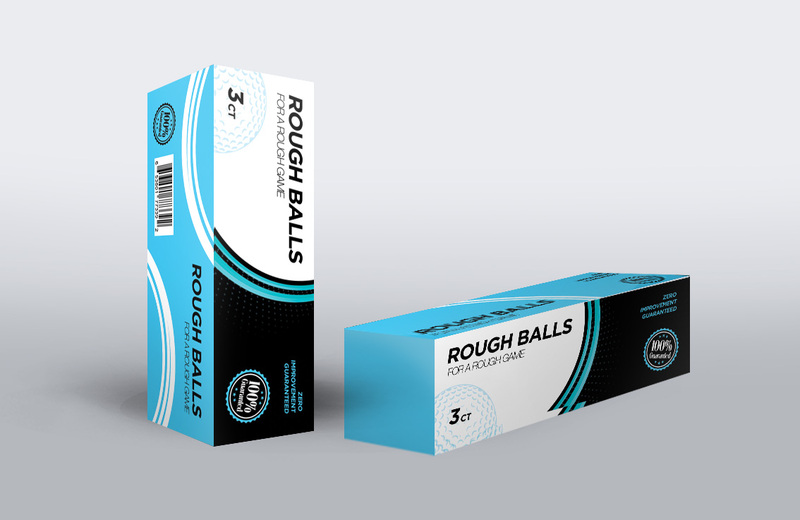 Plus, we provide three rough balls in every pack, so that sad-sack might get through half a round without opening a new box. 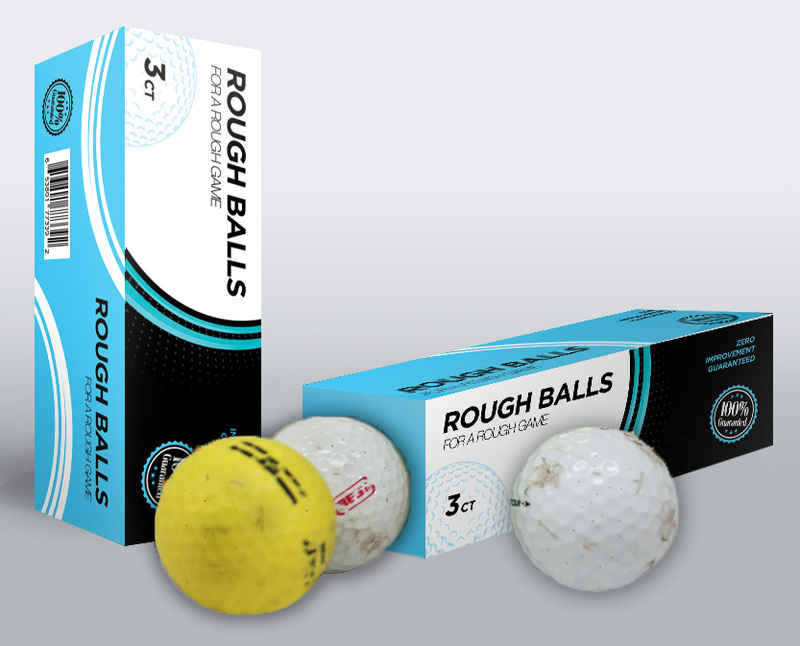 Do your unskilled golf pal a solid and get him a set of balls that rough from the very start. Go ahead, blame those nasty balls! 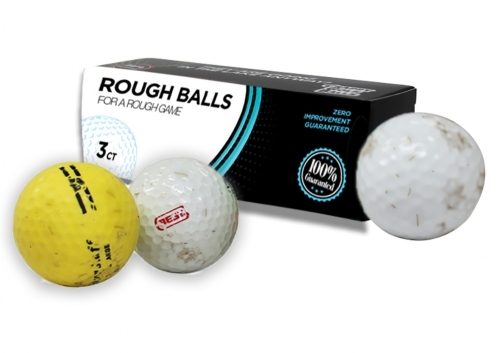 Your poor golfing partner will enjoy the inner comfort of far less pressure to have even the most average golf game, because these balls lower any expectations of a great game right from the start. It’s not his fault! Those balls were totally rough from the very beginning! Nobody’s got game when they’re playing with nasty balls.